Kelly has been involved with the Peruvian Paso breed from an early age. Her great-great uncle, George Stevenson had the first 2 Peruvian Horses in the US in the 1930's - 2 buckskin stallions named Ñorbo and Gringo. Her family bred, raised and trained their own small herd of Peruvians under the ranch name Pasos de Oro. Kelly started showing at age 7, and was a very successful junior rider. She has shown horses all over North America, and has competed in the National Show of Peru several times, as well as national shows Guatemala, Honduras & El Salvador. Kelly started winning National championship titles at the age of 13. As a successful Amateur competitor, she has ridden three different horses to US National Laureado titles, (MCD Elegancia+, MCD Coronado+ & *LEA Poema+) and has hundreds of Regional Championships to her credit. Kelly is currently ranked the #3 rider by points in NAPHA. 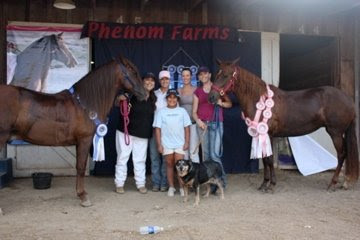 Phenom Farms is the proud owner of two US National Laureado Horses, MCD Elegancia+, and MCD Coronado+, as well as Medallon de Plata award winners KLP Tentacion+, KLP Tradicional, MCD Coronado+ & RDS Torcasa, National High Point winner RDS Fastigio, & 3 time Harry Bennett High point winner MCD Elegancia+. Our horses are used first as trail horses and second as show horses. Most weekends you will find friends over for a few great hours out exploring on the trail. 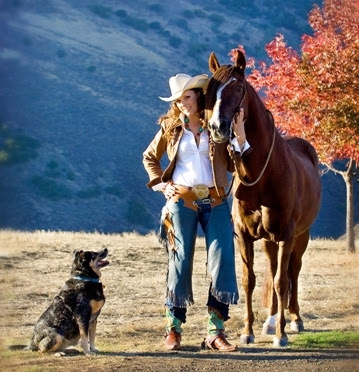 Kelly completed the North American Peruvian Horse Association's (NAPHA) Judges Accreditation Program, and received her Peruvian Horse Judges Card in 2011. She also received her Show Steward Card from NAPHA in 2011. Kelly recently married & relocated the ranch to San Jose Pinula, Guatemala. Click HERE to read "Growing up in the Breed" article printed in Peruvian Horse Quarterly Magazine.